Good morning, dear friends! As I have told you many times, I am a breakfast lover and consider it the most important meal of the day! My most common breakfast is oats with plant pased milk, raisins, walnuts and lots of cinnamon! 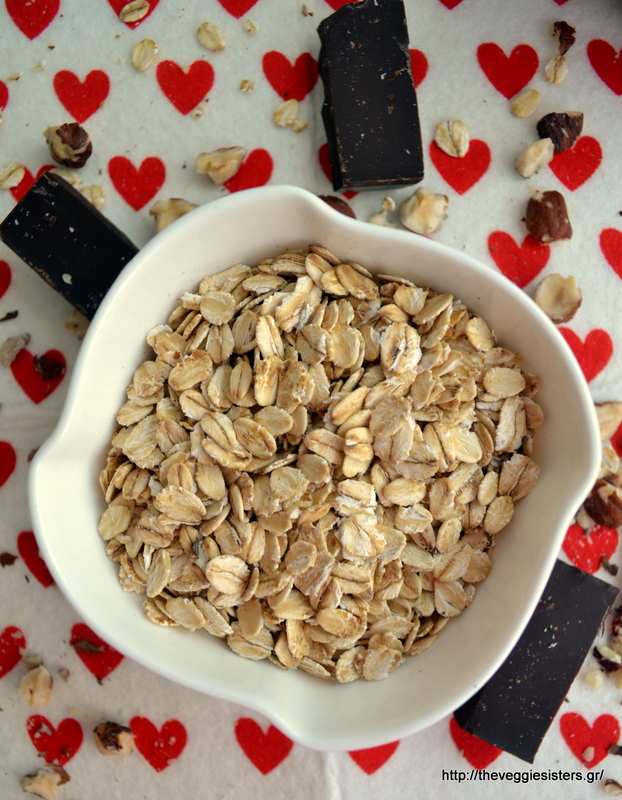 When I want something different, I make homemade granola! (like this one or this one). Lately I have been making porridge for my babyboy (oats, water, banana and peanut butter) and I though why not make one for me? So I combined two of my favourite flavours: chocolate and hazelnuts! The result was an amzing, healthy, filling breakfast. For a thinner texture. pour some milk. It is a must try, friends! The best way to start your day! In a saucepan place water, oats, butter, agave syrup, half of the banana (mashed) and 15 gr. chocolate shavings and cook on low heat. When it thickens, remove from heat anmd serve in a bowl. Garnish with the rest of the chocolate, hazelnuts and banana slices. You can also pour milk if you want. Enjoy! 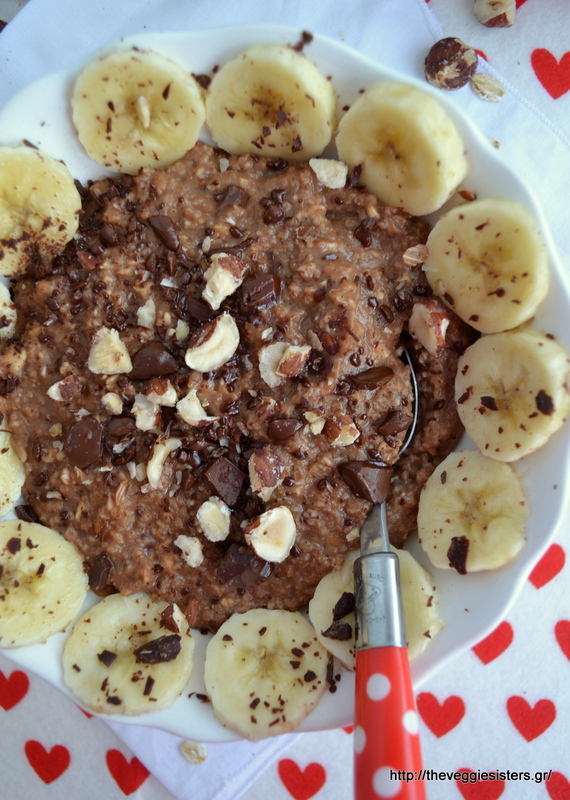 Share the post "Chocolate hazelnut porridge"